To make clearing the snow off of the driveway and the walkway a delight, use the Troy-Bilt Squall 2100 208cc single stage snow blower. 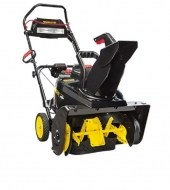 The overall amazing performance and the features of this model make it ideal for those who deal with heavy snow during winter. Winter is beautiful, there’s no denying it. 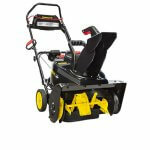 But it comes with a chore that tends to take a lot of your time and make you feel tired, which is clearing the snow off of the driveway. 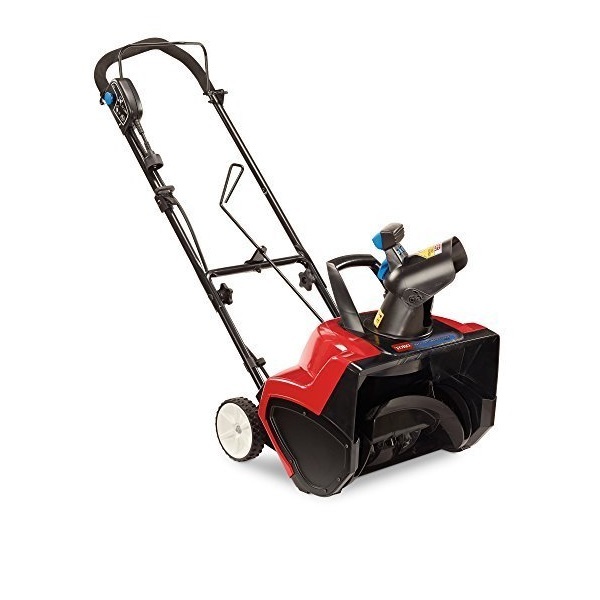 Fortunately, this challenging chore can be made easier than ever with the help of the Troy-Bilt Squall 2100 208cc 4-cycle Electric Start Single-Stage Snow Thrower. To purchase this model, you have to spend around $570. 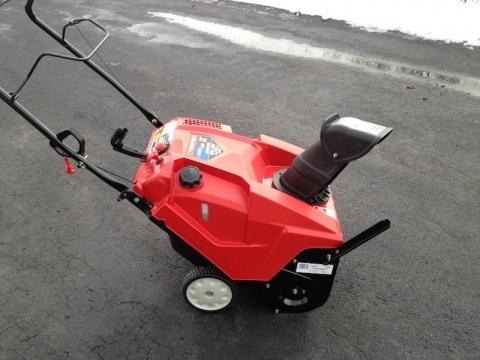 Troy-Bilt, the manufacturer of this single-stage snow blower, is one of the most renowned and trusted lawn care products manufacturers on the market, being around since 1937. 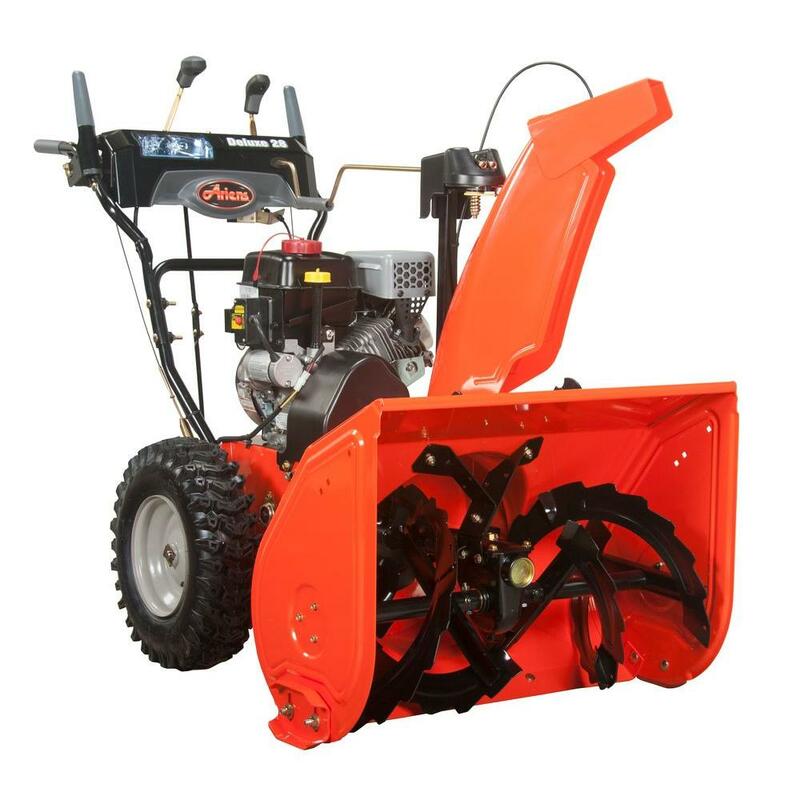 We recommend that you turn to this model not only due to the fact that it’s produced by one of the leading snow blower manufacturers out there but because of its great performance and features as well. To find out everything about it, continue to read this review. 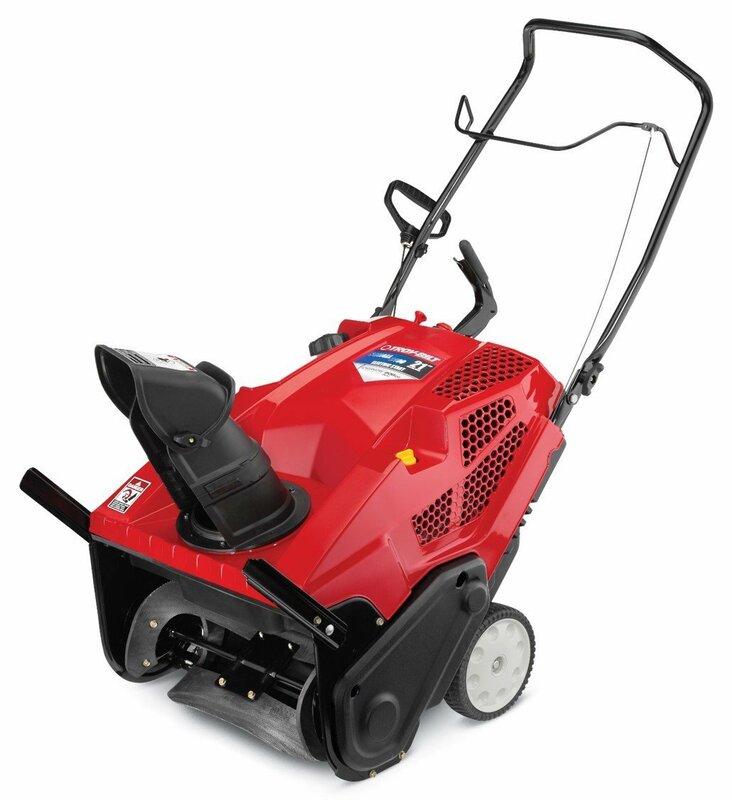 The Troy-Bilt Squall 2100 is a gas-powered model that features a 0.5-gallon capacity fuel tank. 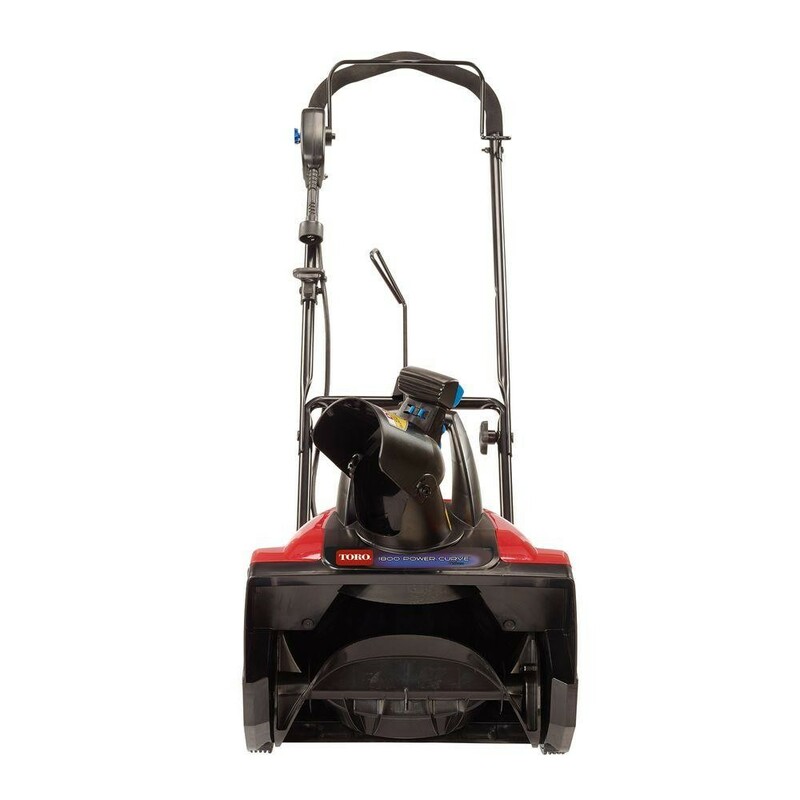 It can clear large areas effortlessly due to the fact that it’s powered by an impressive 208cc 4-cycle overhead valve engine produced by Troy-Bilt. 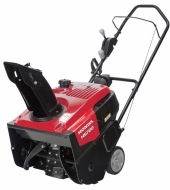 Unlike typical gas-powered snow blowers that feature only a pull cord start, this model features both a pull cord start and a convenient electric start button. This makes it easier to use and more dependable. 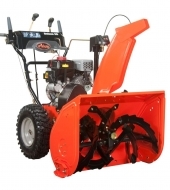 The auger assisted drive system that it features makes this snow blower capable of easy terrain traversal. 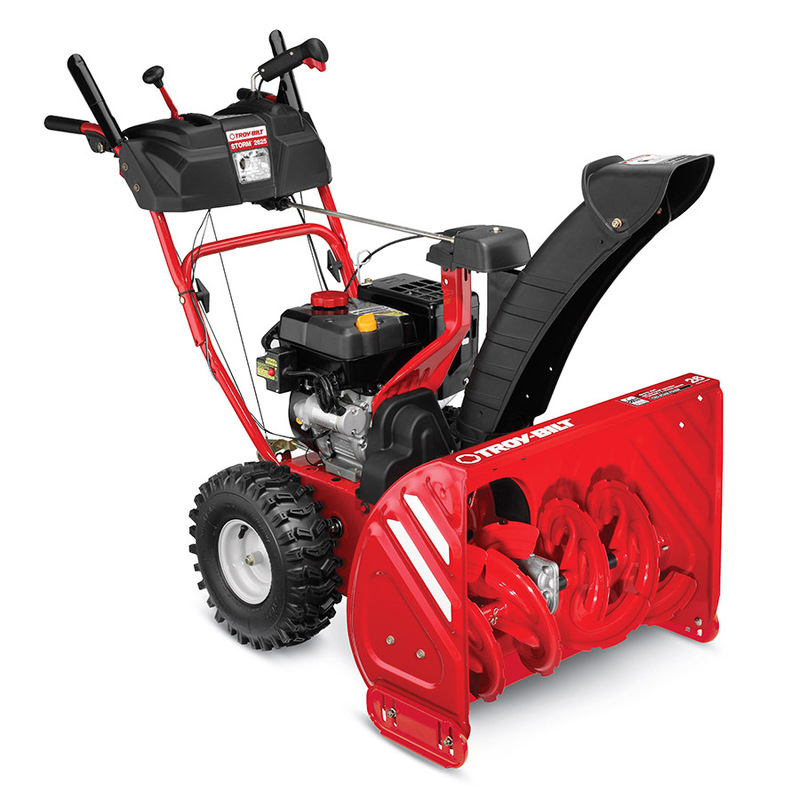 Also, it enables it to tackle wet and slushy snow. It features one forward speed, but it lacks reverse speeds. 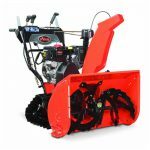 The 21-inch clearing width makes it perfect for those who have large driveways, ensuring that they will finish clearing the snow fast with this snow blower. 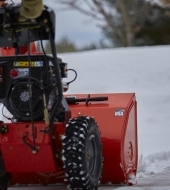 It features an impressive clearing height of 13 inches. 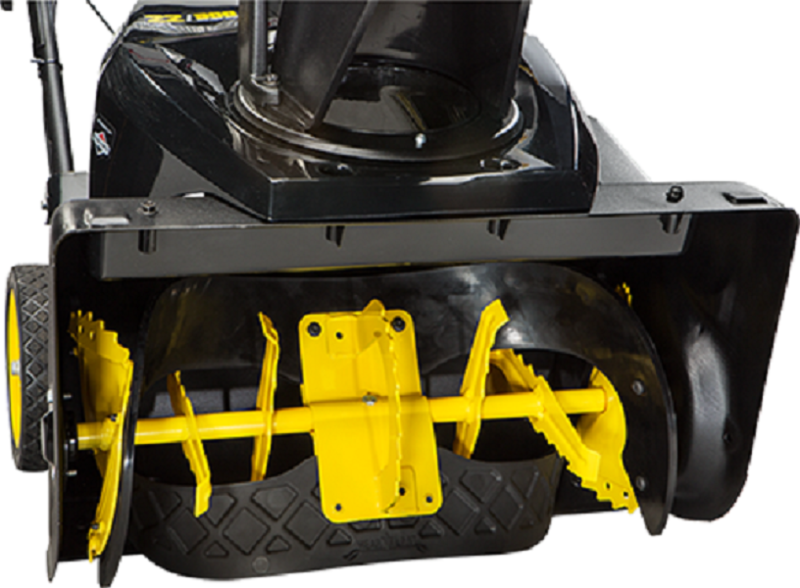 The chute is equipped with a 2-way remote chute control. 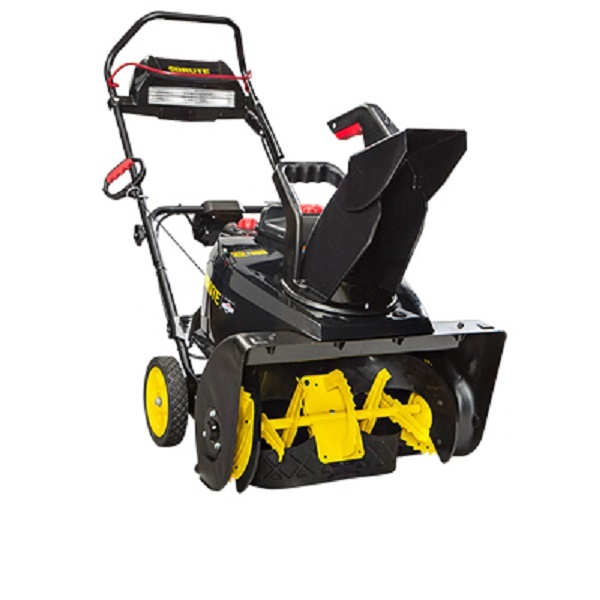 It can rotate 190 degrees to offer efficient snow displacement. 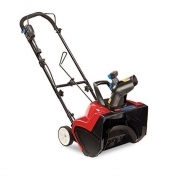 For easy storage, the Troy-Bilt Squall features a foldable handle. Also, for your convenience, the handle has an ergonomic design that offers a comfortable grip. 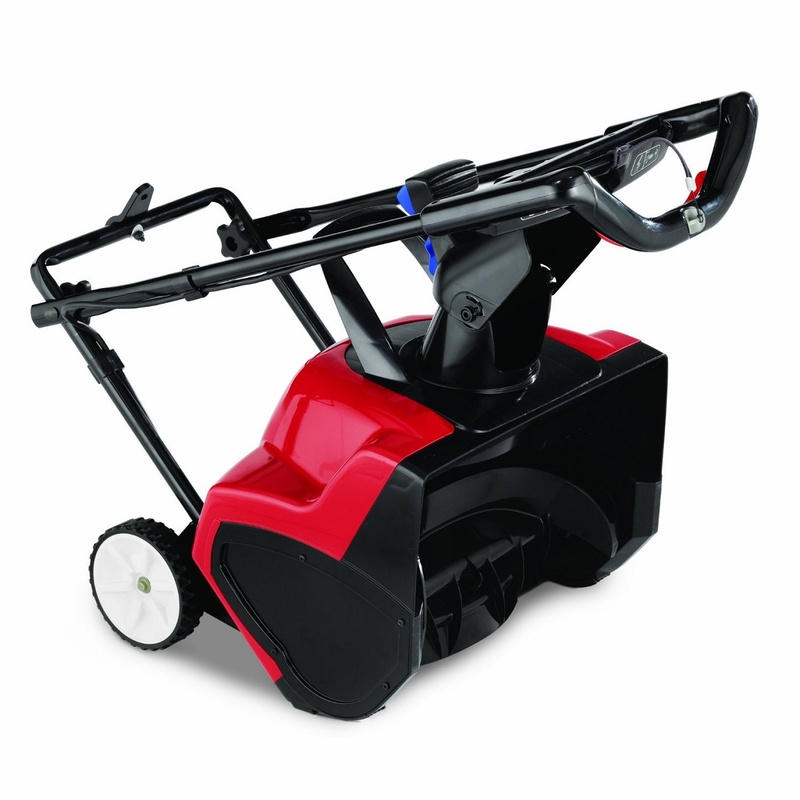 The design of the handle makes this snow blower easy to maneuver as well. This model is ideal when it comes to maintenance too. All that it requires is for you to lubricate the pivot points on the extension spring and the control handle once every season. Unfortunately, this model lacks some important convenience features that other top-of-the-line models come with. First of all, it doesn’t come with a headlight, which makes operating it when the dark settles impossible if you don’t have good outdoor lighting. 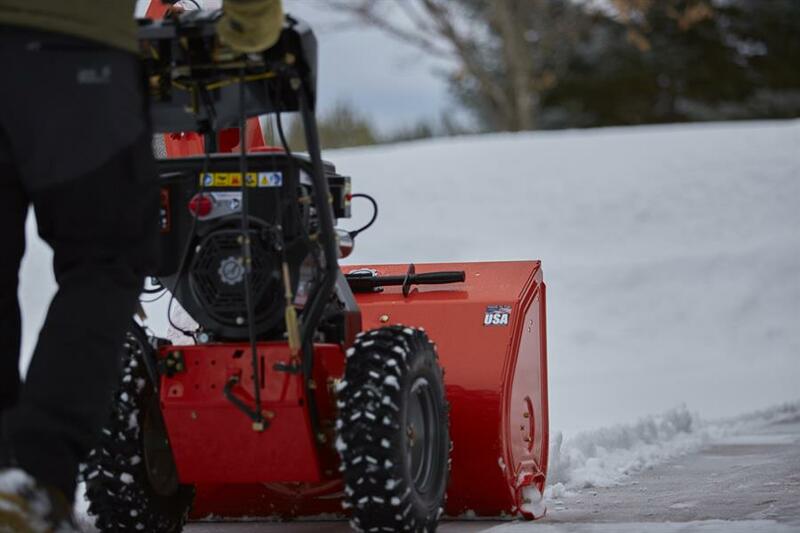 The handle isn’t adjustable, so the snow blower might not suit your height properly. 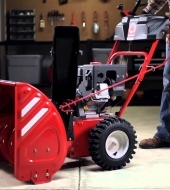 Also, the handle isn’t heated, which means that your hands won’t have increased protection against the cold while operating with this snow blower. It measures 26 inches in length, 23 inches in width, and 30 inches in height. 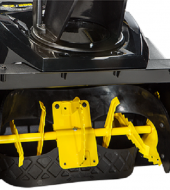 It weighs 97 pounds, which places it among the heavier models on the market. The weight decreases its maneuverability when compared to lighter models as well. The S-wave plastic tires of this model measure 8 x 2 inches. 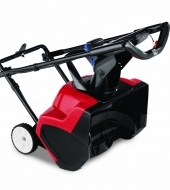 The foldable handle makes it easy to store the snow blower once you’re done using it. The auger of this model is made from rubber. It measures 9 inches in diameter. The chute is made from polymer. 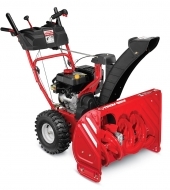 In addition, the 6-inch wide chute opening allows a generous snow flow that resists clogging. 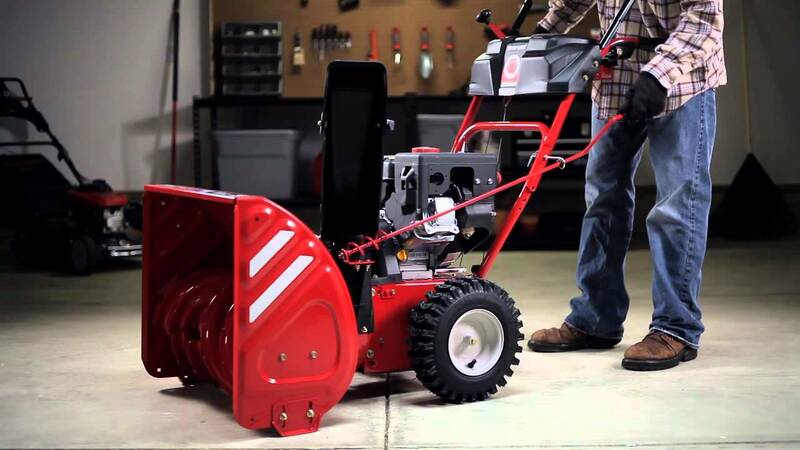 The Troy-Bilt snow thrower is backed by a standard 2-year warranty, time during which any defects and problems that appear are fixed by the manufacturer without costing you anything. The snow blower comes with an owner’s manual in which you find important information about how to operate it and its features. In case you need additional information regarding its operation, you can contact the customer support team on the telephone number listed on the manufacturer’s website to get the needed help.